For the last three years, my girl friends and I have managed to escape to Napa in May for a mid-week, two-day getaway. 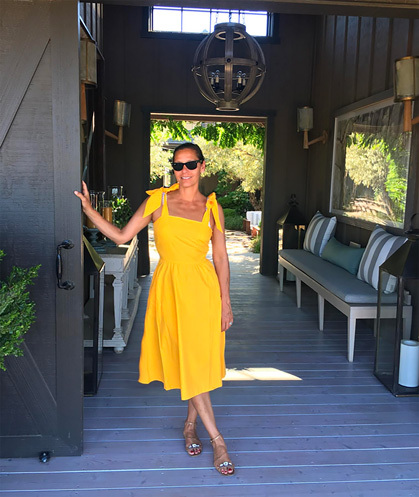 This time around, our trip offered up loads of 90-degree sunshine and opportunities to bust out our newest warm weather silhouettes! Take, for instance, my recently purchased H&M dress, above, which garnered rave reviews. Also winners: this Minkpink statement suit, this Club Monaco blouse, these feather-trimmed Zara sandals and this Anna Sui strapless dress. Lucky for me, I have a few more summer getaways on my calendar and would love to take along some more standout pieces such as this Tory Burch floral maxi, this Marysia bandeau bikini, this Ulla Johnson one-shoulder blouse, this crochet PILYQ tunic, this tassel-trimmed Thurley dress, and these blingy H&M sandals. Read on for more details about my trip! 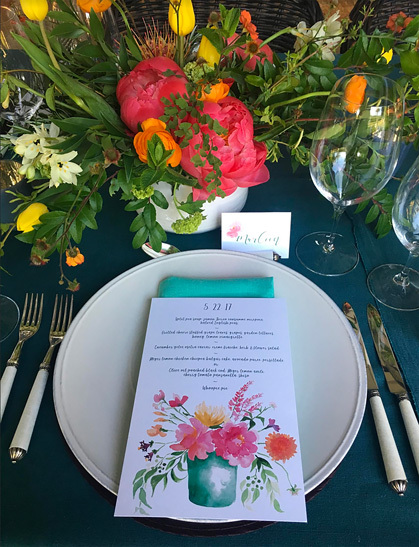 Of course, Napa excels in great wine, but also in the eye-candy department: verdant rolling hills, cloudless blue skies, ample bougainvillea and, yes, even lush dinner place settings. My good (and very talented) friend hand painted the menu cards for an extra personal touch. And how about those floral arrangements?! 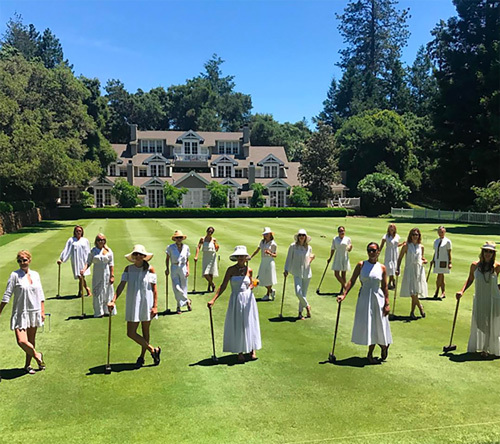 Our annual game of croquet at Meadowood calls for head-to-toe whites, Pimm's Cup, and fierce competition. Unfortunately, my team was not victorious, but we did win the consolation bracket! Who makes the sandals you are wearing with the H&M dress, so pretty. Thanks! I picked up my sandals at Kurt Geiger in London years ago! They are still going strong!